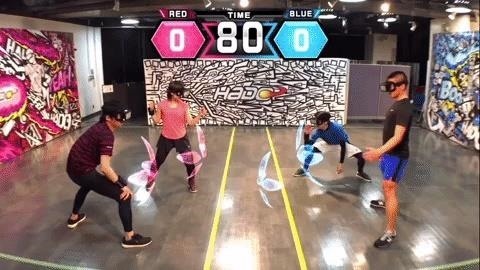 We can't help but imagine how Epson's award-winning, Android-based Moverio smartglasses might one day enable us to play HADO augmented reality techno sports where digital objects, bought with BLOCKv tokens, bounce realistically off of physical walls. So, while the stories in this week's Brief Reality did not have a specific relationship to ARCore before today, we're seeing all things AR under new, ambient light (which ARCore happens to measure). Epson's Moverio Smart Glasses took home the hardware for Best Wireless Accessory at the rAVe 2017 Best of InfoComm Awards in Long Beach, California last week. Running Android, the Moverio BT-350 is equipped with front-facing 5 megapixel camera and WiFI connectivity, ideal for remote assistance of technicians in medical, logistics, and manufacturing industries. 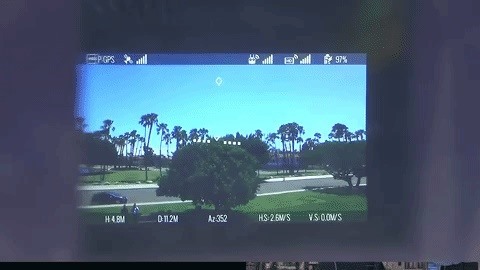 Meanwhile, the Moverio BT-300 FPV-Drone Edition is optimized for piloting DJI unmanned aerial vehicles. "We are honored to be recognized this year by rAVe for our innovative products and developments shown at InfoComm 2017. Epson remains committed to driving the future of display technology with our core devices at the heart of every product as a key differentiator," said Richard Miller, director of projector product management, Epson America, Inc., in a statement. Epson also took home awards for their BrighLink Pro 1470Ui interactive ultra-short throw laser display and the Pro L1700 laser projector. Attendees to GameStart 2017, a game convention hosted in Singapore on Oct. 14-15, will have the opportunity to play HADO, the world's first augmented reality techno sport. HADO players are equipped with smartphones mounted on their wrists and heads and motion sensors. The featured "Player vs. Player" game resembles a cross between dodgeball and a first-person shooter with digital projectiles and implements and a physical court. "As always, GameStart aims to be where all gamers and all-things-gaming can come together and have fun and I'm excited to present this year's edition," said Elicia Lee, founder of GameStart Asia, in a news release. Last week, Swiss company BLOCKv introduced a blockchain-based platform to enable developers to sell digital goods that consumers can transfer between environments. Under BLOCKv's token system, consumers would be able to buy, sell, and trade digital goods that retain real-world value in any environment, including augmented/virtual reality experiences, mobile devices, social and traditional media, online exchanges, and retail stores. "Freed from the limitations of the past, BLOCKv digital objects transform the landscape of physical, digital and social advertising, micro-transacting, ticketing, gifting, and promotions. Businesses and brands will be able to attract, engage and conduct commerce like never before across digital and physical environments – creating new revenue streams, driving traffic and holding attention like never before," said Reeve Collins, CEO of BLOCKv, in a news release.